Mumbai, celebrated for its teeming energy and vitality, is the world’s most densely populated area with an average of 30,000 people per sq km. 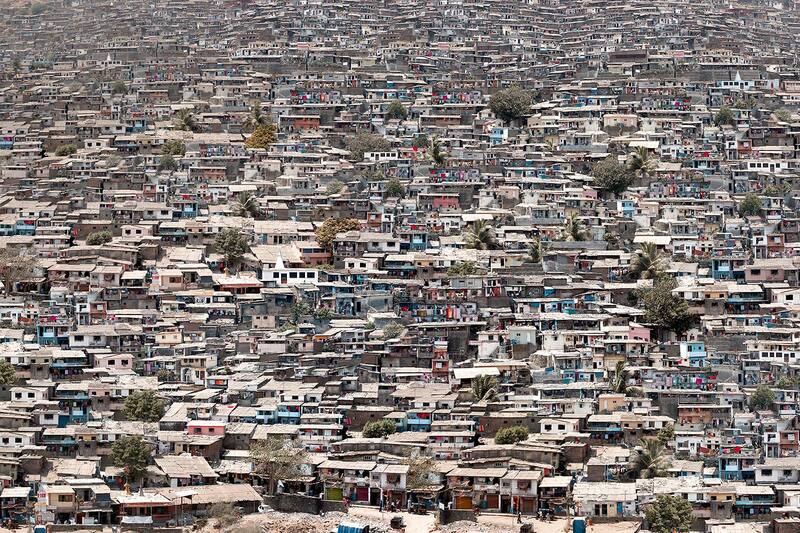 Although Mumbai is the wealthiest city in India, two thirds of its residents live in shantytowns. The legions of Mumbai’s poor are growing by the day as thousands of people migrate from rural areas, sleep on sidewalks and hope for a better life. Although India boasts more billionaires than China, 81% of its population lives on less than $2 a day. Yet, however basic the living conditions may be, the city’s “wadis” are a testament to India’s entrepreneurial spirit. They are as much a reflection of the new India and its thriving economy as the glossy high-rises in the south of the city.